Dance/USA will host its 10th Annual Conference in sunny Los Angeles, CA from June 6-9, 2018. Join your dance industry colleagues over four days to network and learn from nearly 500 dance professionals including executive directors, artistic directors, emerging arts leaders, artists, agents, company managers, presenters, development and marketing staff, and more. Conference programming is shaped around issues of equity and justice, community and collaboration, audience development, and preservation and legacy. 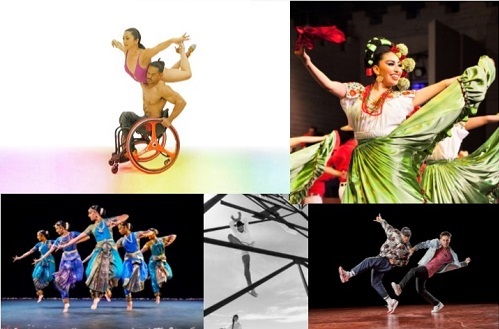 Be inspired to advance dance together in business and on stage at this exciting national convening! The 2018 Annual Conference will be held campus style to showcase the beauty of Los Angeles’ local arts venues. Dance/USA also partnered with an area hotel to provide special rate accommodations for Conference attendees. We look forward to seeing you in L.A.! Volunteer opportunities are available. Questions about the Dance/USA Annual Conference? Contact us. SAVE THE DATE: The 11th Annual Conference will take place in Cleveland, OH from June 12-15, 2019. Questions about the Dance/USA Annual Conference? Contact us.